This was an entertaining novel, but not a great novel, I think—not in the way American Gods is a great novel. That is perhaps due to its TV roots as others have indicated. It is structured somewhat like a screen play, and though it evokes images of its various scenes, I think one still needs to delve deeply into oneself to complete the images. I consider this a plus, though others suggest it results in flat characters and places. Perhaps it's a matter of imagination and experience. Above all it is a British novel, specifically an urban fantasy about London and a knowledge of London above and London below ground is necessary to really appreciate the many in-jokes that pervade its pages. Beyond this there are universals for any mega-city with an underground—rats and pigeons, dirt and smells eg, and a multicultural population involving both the above and below. The novel certainly explores these big city characteristics and in a sense is an allegory about all those people who fall through the cracks of urban society. I don't know if it was written as an allegory, but it is there. OTOH, it can be seen simply as a fun, imaginative story, like the miniseries which I plan to watch soon. Richard has been called annoying and dumb by other reviewers. I don't think so. Putting myself in Richard's place, I suspect I'd react much the same way he did—confused, naive, scared, wondering if I'm hallucinating and crazy, not used to all of the death and danger. Richard is much more a realistic character than an obviously heroic type would have been, a knight in shining armor would have been. In a similar way Richard was out of place in his relationship with Jessica. She's an upper-crust, moneyed brat who fits in quite well with the large glass towers of the city. Richard is an average guy from the country out of place in London. Jessica and Richard mirror the worlds above and below. They represent a civites-pagan dichotomy. I'm pleased they both end up where they really belong as the novel closes. 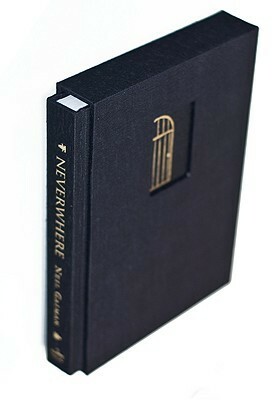 Sign into Goodreads to see if any of your friends have read Neverwhere Ltd.